There's rarely a day that transpires where I don't miss the Pacific Northwest and its craggy beaches and espresso-drenched cities. One of my favorite PNW destinations is the San Juan Islands. 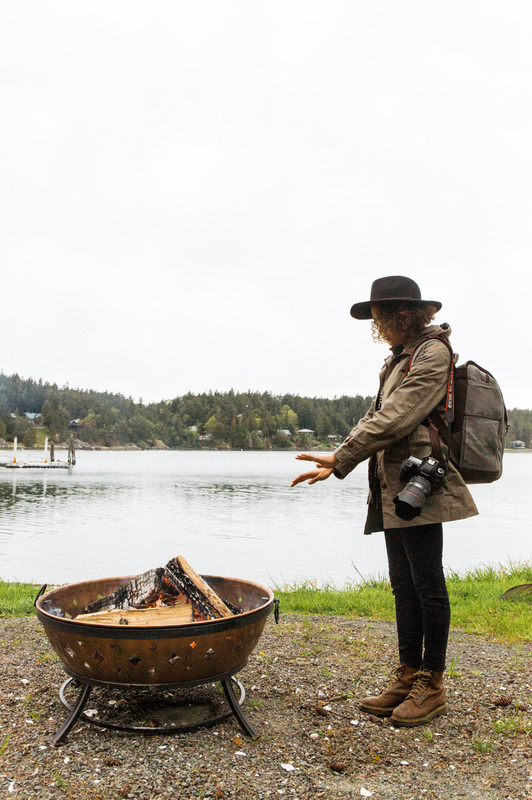 Naturally, I was thrilled when I recently found out I'd be joining a women's trip to Orcas Island, courtesy of Filson. I pulled out my rain boots and geared up for an adventure! It would be impossible to write a blog post about the Pacific Northwest without mentioning the incomparable fashion issuing from this part of the world. I believe that many of the trends we've seen from the 90's through today originated in Seattle. But the best part is that it's trendy without trying to be (as all good things are). And such is Filson: launched in 1897 to outfit the Klondike gold rush in Alaska, the brand hasn't strayed far from their original calling to craft quality, American-made goods. In the filtered, social media-obsessed world we live in, it's a breath of fresh air. 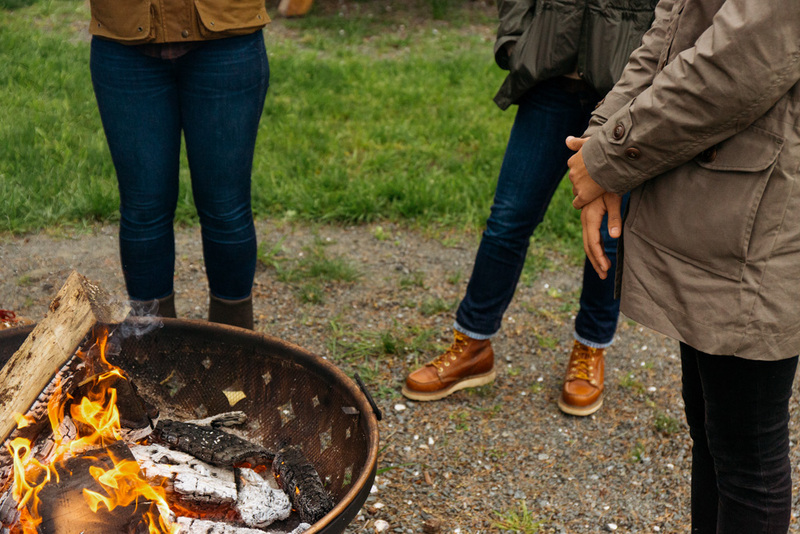 If you peruse Filson's website, or one of their many gorgeous shops dotted across North America, you'll find suspenders, perfect flannels, hats, work pants, fly fishing clothing, rain jackets, leather briefcases, outerwear, and so much more. Additionally, you'll find a growing women's line from designer Aude Tabet (recent acquisition to the Filson #girlsquad by way of Marc Jacobs) who thoughtfully tucks and trims the menswear-inspired brand I have always known to a more thoughtful, feminine interpretation... that's still functional, of course. 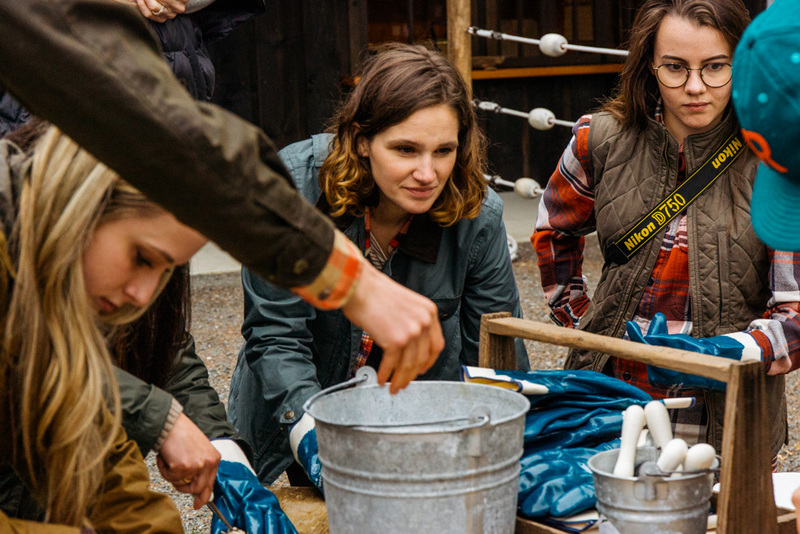 In addition to the rad women from the Filson team, others on the trip included art directors, beauty writers, social influencers (that's a noun now, right?) and lifestyle photographers from all over the US and Canada. Ages ranged from 20 on up, but refreshingly, the group meshed well. After touring the Filson factory in Seattle (complimentary tours are offered daily — don't miss it if you are in the area!) 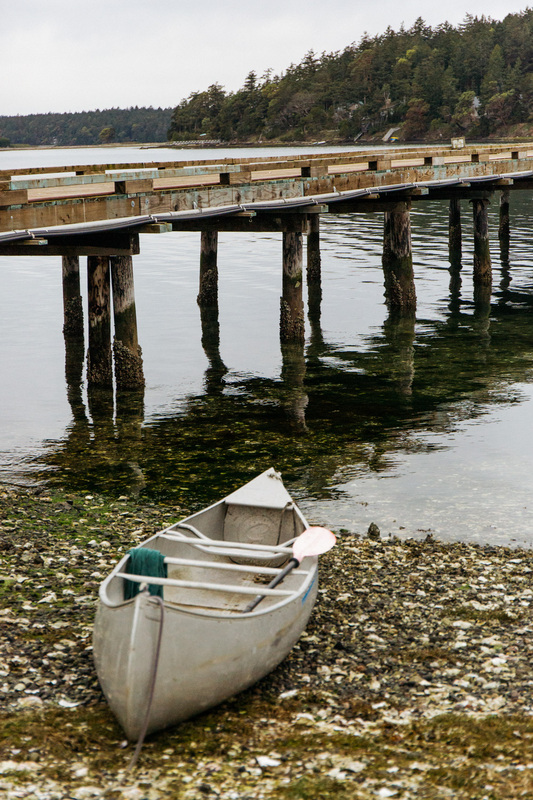 we hopped on seaplanes over to Orcas Island. 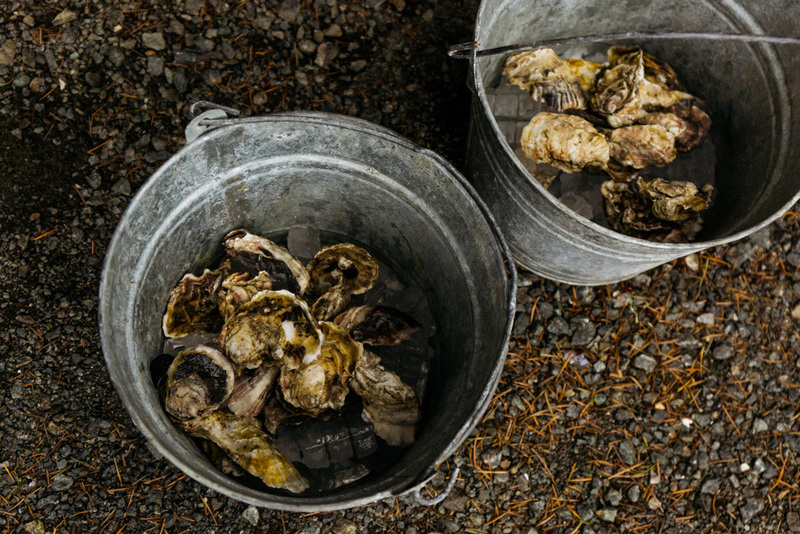 There, we dined on foraged greens we picked ourselves and slurped freshly shucked oysters from Westcott Bay Shellfish Co. The best part? With a forecast full of precipitation, it only rained for, like, an hour. The weekend was the Pacific Northwest in all her glory. During the course of the weekend I realized how the focus on sustainable living — the heartbeat of Orcas Island — was beginning to affect me. 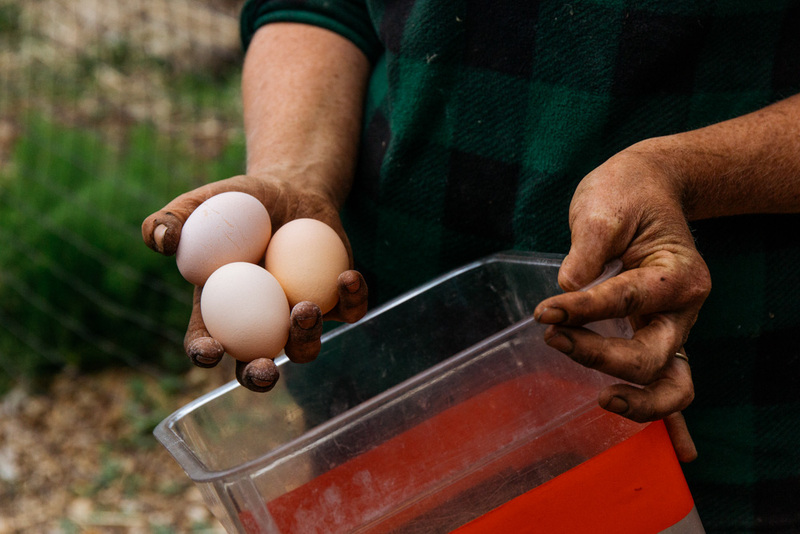 And more importantly, how this "living off the land" mantra united us women together. 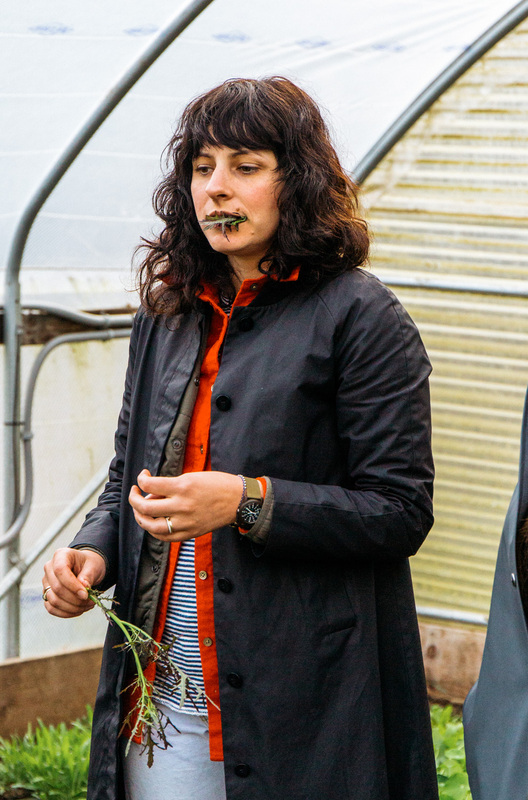 Between picking greens for our own dinner, feeding chickens and learning to shuck oysters fresh from the sea, something magical happened: we got off our phones, had in-depth conversations, and relied on one another. ...of course, that may have been just the crummy Wifi. Stay dry. Weather in the PNW can be finicky at best. Plan ahead with plenty of warm socks and a lightweight rain jacket, like this one. Don't forget your camera. Yes, this should be obvious, but it apparently wasn't for a seasoned veteran like myself. I lost my camera in an Uber on Day 1. Thankfully, Kelly let me borrow hers, and even more thankfully, I got my camera back! Arrive a day early to spend time in Seattle. My favorite city! If you're going, here's a short list of some of my top recommendations. Stay at Doe Bay Resort. Doe Bay was our home away from home for the weekend, and it was simply perfect. From the outdoor hot tubs (warning: they say clothing optional, but what they mean is nobody wears clothing) to the spectacular views, to the world's friendlist gardener (an Australian lass named Jess who we all instantly had girl crushes on) to the best breakfast you can find on the island (order the burrito, you're welcome), I couldn't imagine coming back to Orcas Island and not staying at Doe Bay. Reserve your taxi ahead of time. Uber isn't a thing here. Get outside. Whatever your weapon of choice — kayak, hiking boot, or fishing boat — just get outside and explore. Go in the off-season. Like most tourist destinations, the busiest time of year is the summer. 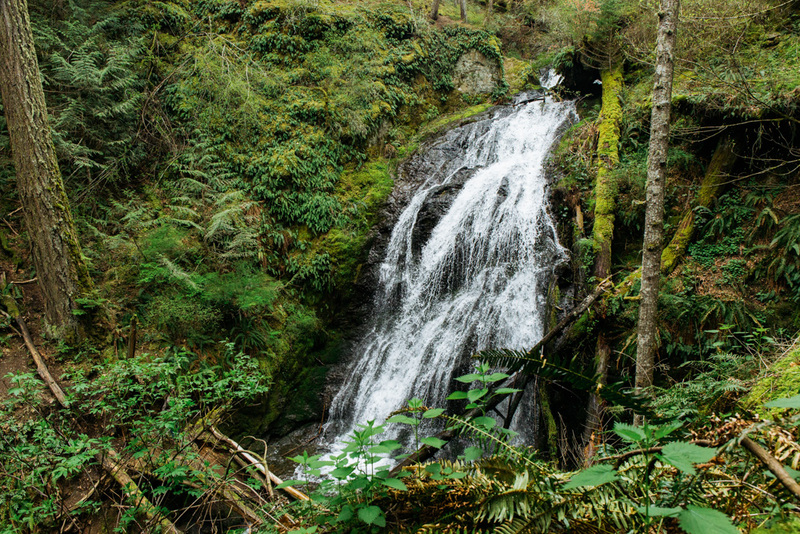 If you can, try a spring or fall trip to avoid the inevitable crowds. Unplug. We can all use this reminder, can't we? With limited Wifi and cell service on the island, use this time as an excellent opportunity to unplug and enjoy the now. Maybe treat yourself and book a massage at Doe Bay while you're at it! Many thanks to Filson, and all the other gals who attended the trip, for making this weekend an unforgettable experience. Can't wait to go back!